Published in November 2014, this volume is the result of a Kickstarter campaign to fund it’s publication. 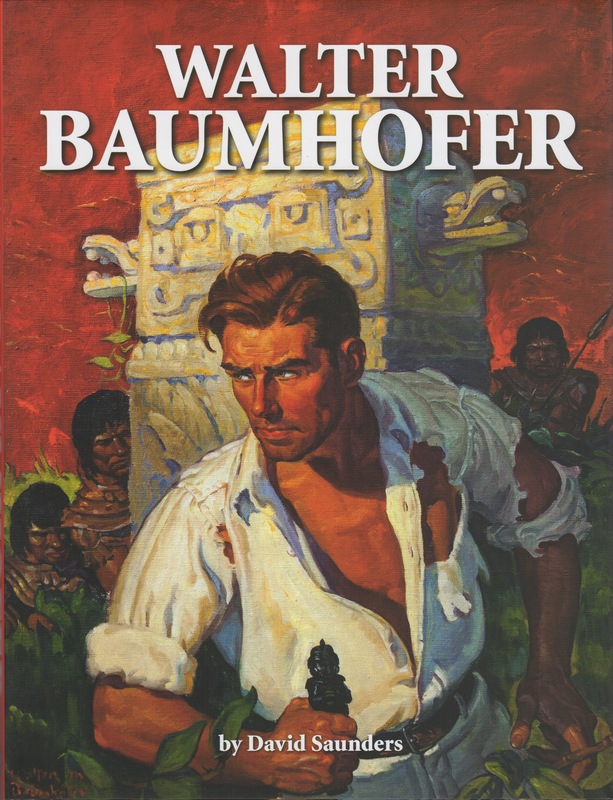 If you have a familiarity with the western, crime and adventure pulps, then you will have seen Baumhofer’s work, whether you know his name or not, and he illustrated much more than just pulp covers. This is great art, and I encourage you to obtain a copy before this book is sold out. This entry was posted in art and illustration and tagged Walter Baumhofer. Bookmark the permalink. I’m ordering it Right Now! Thanks for the heads up! 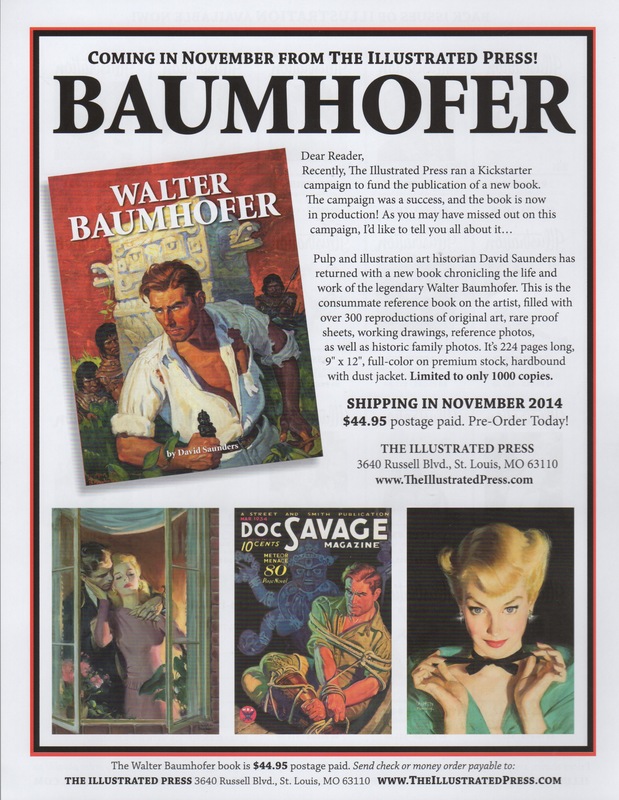 I’ve got a book about pulp covers that has some of his work in it. Richard, reading about illustrators and their illustrations makes me want to pick up the paint brush again. I used to draw and paint a lot as a kid, professional fine and commercial art running on my mother’s side. Looks great — thanks for the headsup! It IS great. I’m surprised it hasn’t gotten more publicity around the blogosphere. Charles, what’s the title, do you remember? George, you’ll be happy with this one, I’m sure of it.